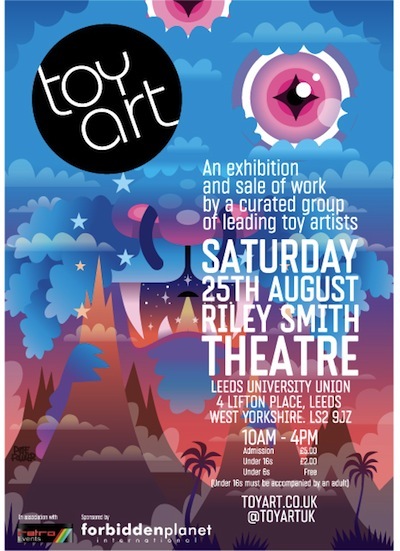 The North of England has it’s very own dedicated Toy Art event. A new show in Leeds to showcase the work of some of the finest Toy Artists on the planet, some of the very best are actually from the North of England! I am pleased to be part of this exciting new event. I will have a full booth of products, toys and merchandise. This entry was posted on Wednesday, July 25th, 2018 at 4:35 pmand is filed under . You can follow any responses to this entry through the RSS 2.0 feed. You can leave a response, or trackback from your own site.